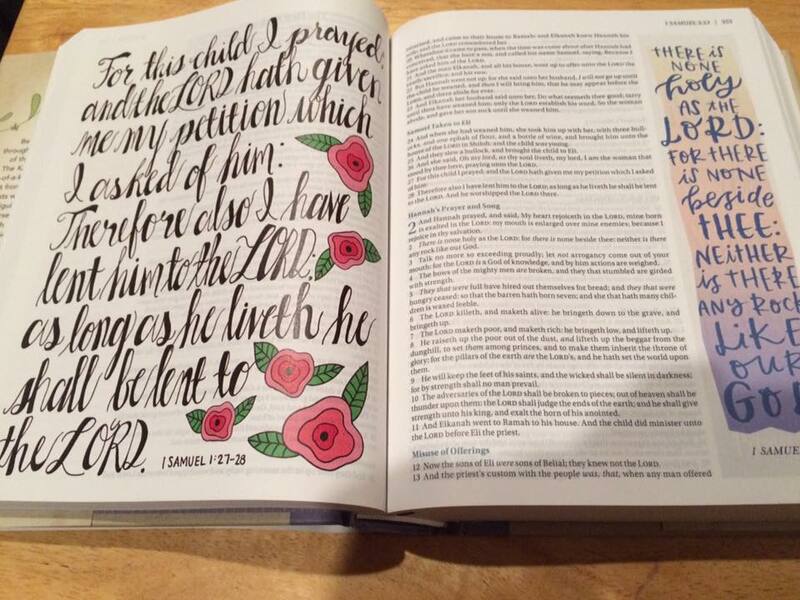 Journaling, doodling and coloring are truly all the rage. I'm okay with coloring but I'm not super good with it. I do love to journal though and have loved that since my scrapbooking days. I was super excited with Zondervan released their Beautiful Word KJV Bible! This bible is hardbound with beautiful illustrated verses all through out the book. There is plenty of margin space on the sides to make notes or do a little doodling of your own. 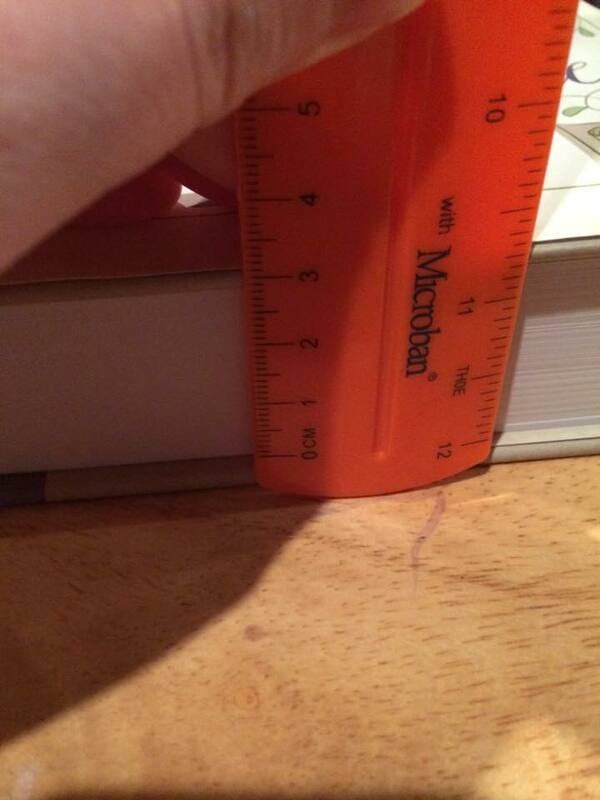 I'm so impressed with the quality of this book. 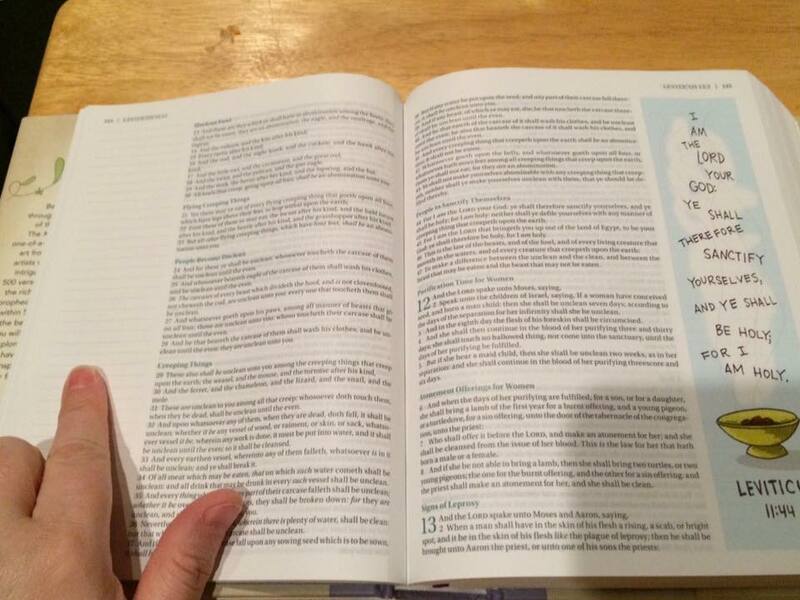 Most of all I'm thankful for the KJV. 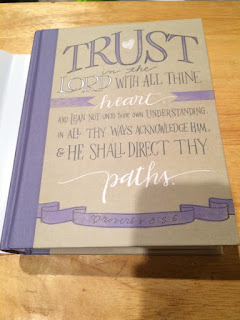 It is rare that us KJV users get something pretty, unique and as fun as this bible is! Mother's Day is just around the corner and I'm going to get one of these for my mom. I think she will enjoy the lay out and she will love the beautiful pages of illustrations. They are unique and many feature my favorite verses. I'm so excited to give her a copy. 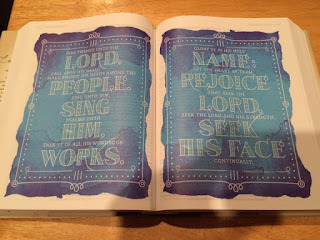 A few pictures of just how beautiful this bible is! The hard bound cover is just as beautiful! 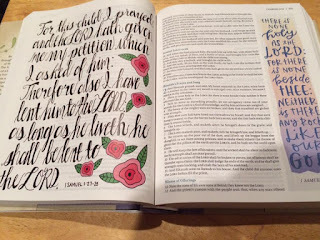 Be drawn into God’s Word through a fresh, creative expression of the beautiful words of God. Crafted on high-quality paper and balanced with inspiring full-color art and blank space, the KJV Beautiful Word Bible will encourage a deeper and more authentic quiet time. With 500 verses illustrated to help you see the rich diversity of stories, characters, prophecies, rewards, and hope contained within Scripture, you will discover wisdom to sustain you in every season, drawing you deeper into God’s life-changing and inspired Word. 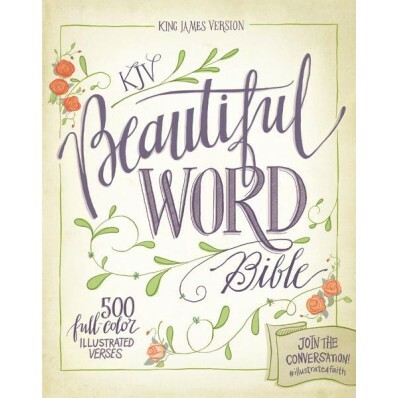 One lucky reader will win a copy of KJV Beautiful Word Bible! I would give my Mother everything and anything she wanted, she passed away twenty years ago. Mother's Day is a hard one for me. :hugs: I'm sorry for your loss. I'm not sure.. I don't have a lot of money. HOWEVER, my not blood mama is gonna get this amazing bible -- if I win it. If I could give my mother a gift it would be flowers! I'm putting together a collection of things to pass the day as she just moved into a retirement home. I'm planning on a crossword puzzle book, jigsaw puzzle, adult coloring book and pencils, and a devotional. I'm giving my mom a fairy garden with everything that goes into making one. I'm giving her a Kindle. Because she loves to read! I will probably send her a card and GC to Joann Fabrics or to a local restaurant. My mother went to heaven but I am giving my mother-in-law some Italian spices and flowers. Wine, pajamas and a gift card for dinner! My mother is law we sent a breakfast basket to!! I'm not sure yet, maybe a gift card.